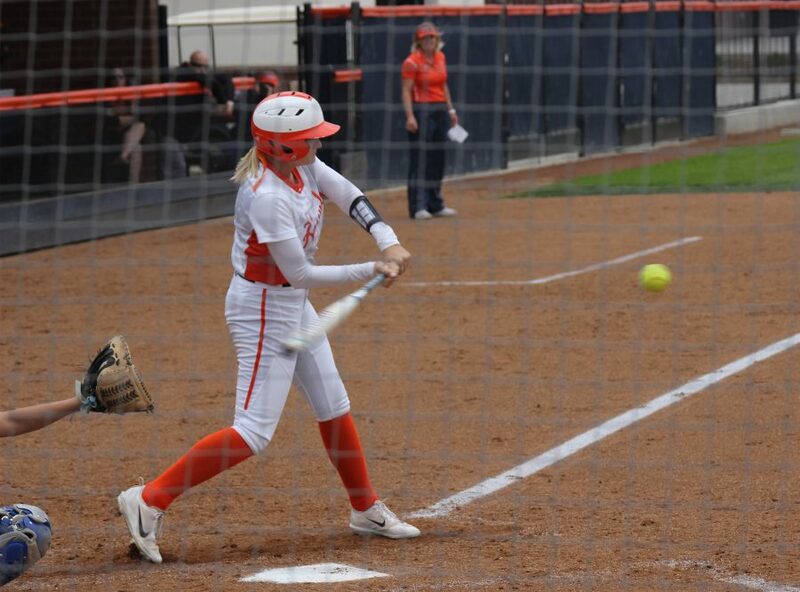 The Cosumnes River Hawks softball team took care of Modesto College at home on April 11, defeating them 7-6. Modesto took an early lead in the top of the first inning when their infielder Megan McCormick grounded out to second base, allowing Modesto’s Haylie Prater to score a run. They managed to maintain their lead until the bottom of the fifth inning. Sophomore pitcher Chelsea Martinez put the Hawks on the scoreboard when she hit a bases-clearing grand slam to center field. The Hawks added two runs when Lambert homered a fly ball to left field, increasing the lead to five at the end of the fifth. This was Lambert’s first home run for this season. At the top of the sixth inning, Modesto came back to tie the score, adding five runs of their own. “They kept scoring runs and coming back, but I felt like we were coming with the win no matter what because our bats were coming back,” said Lambert. In the bottom of the sixth inning, sophomore catcher Courtney Beatty hit a double to left field with a line drive, allowing sophomore second baseman Alex Scardina to score on a run from second base, securing the win for the Hawks after freshman pitcher Ashleigh Berg closed the door. The Hawks’ next home game is a doubleheader on April 22, beginning at 12 p.m. versus American River College.